Velocette - I Say Ding Dong Shop - Buy Stickers, Decals & Unique Automobilia. Claude Rye Ltd Motorcycle Dealers Fulham Road London Sticker. 2.25". Comerford's Ltd Later 70's Style Tank Top Motorcycle Dealers Sticker. 85mm. Lucas PLC 5 or PRS 7 Ignition & Lighting Switch Round Sticker. 46mm or 36mm. Maximum & Minimum Oil Level Gold on Clear Indicator Stickers. 3.5" Pair. Maximum & Minimum Oil Level Indicator Stickers. 3.5" Pair. Smiths Speedo Drive Oval Motorcycle Sticker for Triumph, Norton, BSA. 2". Veloce Script Style Laser Cut Self Adhesive Bike Badge. 3" or 4". 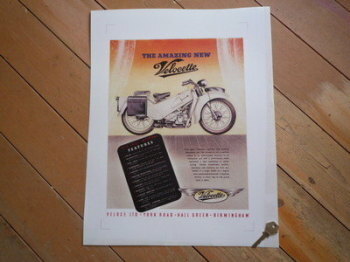 Velocette 'The Amazing New' Advert Photo Art Print. Velocette Cafe Racer Sticker. Pudding Basin Helmet. 3". Velocette Champion Spark Plug HT Cap Cover Badges. 29mm Pair. Velocette Curved Gold Cut Text Sticker for Motorcycle Front Number Plate. 10". Velocette Cut Vinyl Scroll Text Gold Stickers. 5" Pair. 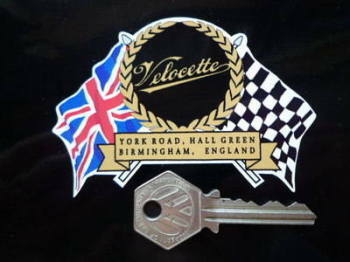 Velocette Flag & Scroll Sticker. 3.75". Velocette NGK Spark Plug HT Cap Cover Badges. 22mm Pair. 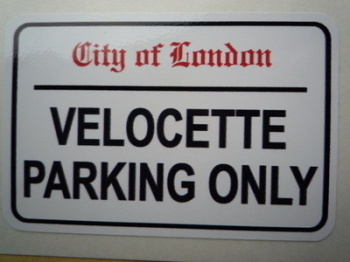 Velocette Parking Only. London Street Sign Style Sticker. 3", 6" or 12". 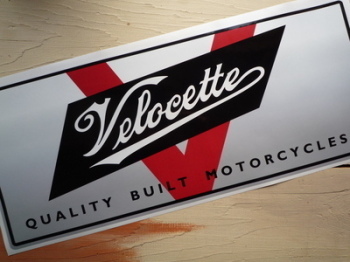 Velocette Quality Built Motorcycles Workshop Sticker. 23.5". 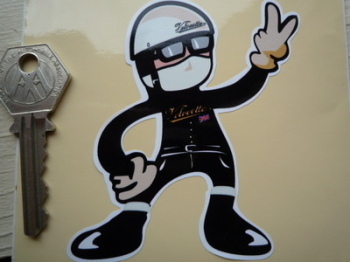 Velocette Rider 2 Fingered Salute Sticker. 3.5". Velocette Rolling Road Small Art Banner. 25" x 18". Velocette Specialists L.Stevens Ltd Motorcycle Dealers Sticker. 2.25". 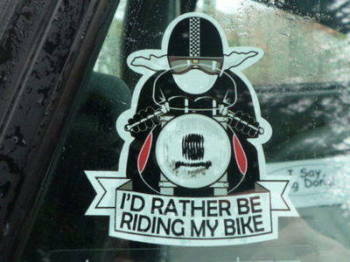 Velocette Till I Die Skull Sticker. 3". 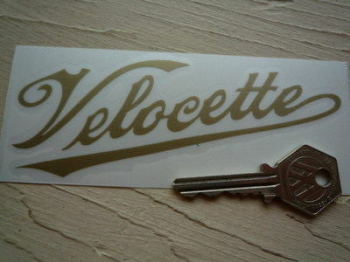 Velocette TT Winners 1926-28-29 Cut Vinyl Gold Sticker. 6". 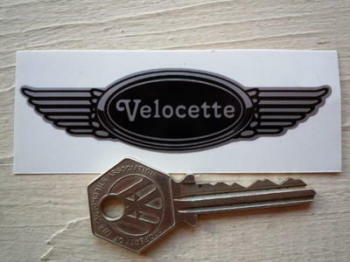 Velocette TT Winners Laser Cut Self Adhesive Bike Badge. 3". 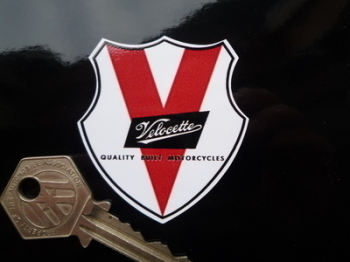 Velocette V Shield Sticker. 2". 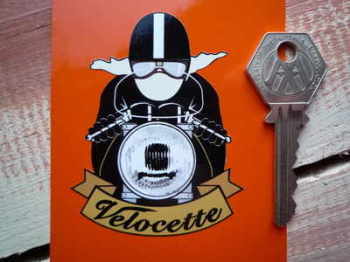 Velocette Venom Classic Motorcycle Style Laser Cut Magnet. 3"
Velocette Winged Helmet Sticker. 3.5". Velocette Winged Oval Stickers Silver or Gold. 4" Pair.